How do we create impactful and thoughtful learning of the Holocaust with students? 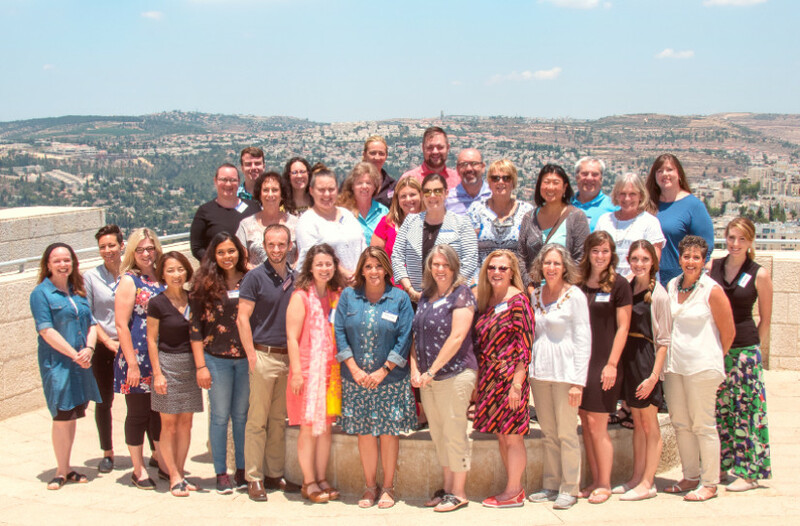 Through our signature professional development program, participants explore and gain access to a range of classroom content and consider instructional enhancements to support students’ study and reflection of the history of the Holocaust and its ongoing meaning in the world today. Educators enhance their own knowledge about the Holocaust, including the history of antisemitism, and build confidence and capacity to teach this complex subject. Participants should sign up via My Learning Plan in order to receive credit. Antisemitism is not a relic of the past, but a hatred the world struggles with today. This program introduces educators to classroom material to address contemporary manifestations of antisemitism and its relationship to traditional forms of antisemitism present before and during the Holocaust. Educators will also explore ways to support students’ commitment and ability to actively respond to and prevent antisemitism and other forms of prejudice in their communities. Cost: $15, includes dinner. Registration is required for this professional development session, which is taking place as a part of the Holocaust and Genocide Institute Seminar. The Keynote begins at 4 PM, and is being delivered Ariel Burger, author of Witness - Lessons from Elie Wiesel's Classroom. The program will be followed by a film screening, beginning at 7:30 PM. Both are free and open to the public. Antisemitism is not a relic of the past, but a hatred the world struggles with today. This program introduces educators to classroom material that address such topics as contemporary manifestations of antisemitism, Holocaust denial, and anti-Israel rhetoric with students. The material covered can be used to extend learning in Echoes & Reflections or as a separate unit of study. Registration fee of $50 per person. For more information, please contact info@echoesandreflections.org. How do we create impactful and thoughtful learning of the Holocaust with students? 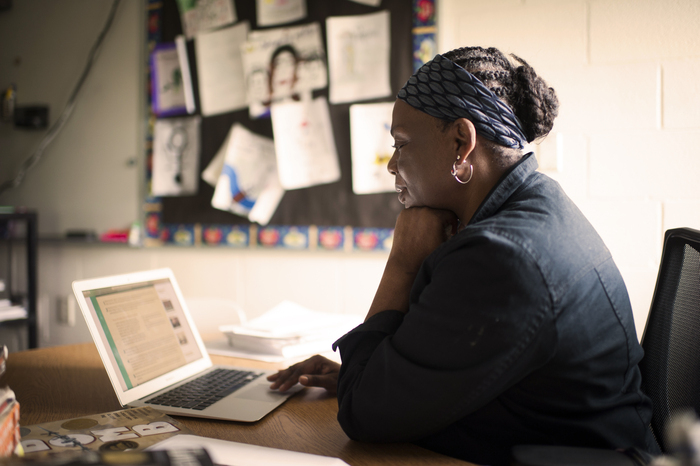 Through our signature professional development program, participants explore and gain access to a range of classroom content and consider instructional enhancements to support students’ study and reflection of the history of the Holocaust and its ongoing meaning in the world today. Educators enhance their own knowledge about the Holocaust, including the history of antisemitism, and build confidence and capacity to teach this complex subject. For more information and to register, please contact Linda Medvin at lmedvin@fau.edu. This is a professional development program hosted by Indiana University of Pennsylvania. This program is currently closed. 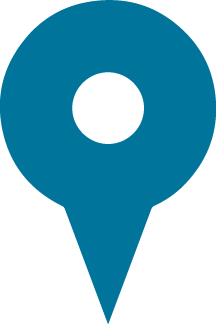 Contact us to learn how you can bring Echoes & Reflections professional development to your school or district. How do we create impactful and thoughtful learning of the Holocaust with students? Through our signature professional development program, participants explore and gain access to a range of classroom content and consider instructional enhancements to support students’ study and reflection of the history of the Holocaust and its ongoing meaning in the world today. Educators enhance their own knowledge about the Holocaust, including the history of antisemitism, and build confidence and capacity to teach this complex subject. For more information and to register, please contact Linda Mullins at lsmullins@wesc.k12.in.us. How do we create impactful and thoughtful learning of the Holocaust with students? Through our signature professional development program, participants explore and gain access to a range of classroom content and consider instructional enhancements to support students' study and reflection of the history of the Holocaust and its ongoing meaning in the world today. Educators enhance their own knowledge about the Holocaust, including the history of antisemitism, and build confidence and capacity to teach this complex subject. For more information and to register, please contact Susan Norman at norman@geneseo.edu. How do we create impactful and thoughtful learning of the Holocaust with students? Through our signature professional development program, participants explore and gain access to a range of classroom content and consider instructional enhancements to support students' study and reflection of the history of the Holocaust and its ongoing meaning in the world today. Educators enhance their own knowledge about the Holocaust, including the history of antisemitism, and build confidence and capacity to teach this complex subject. For more information and to register, please contact Claire E. Gwaltney at claire.gwaltney@ky.gov. How do we create impactful and thoughtful learning of the Holocaust with students? 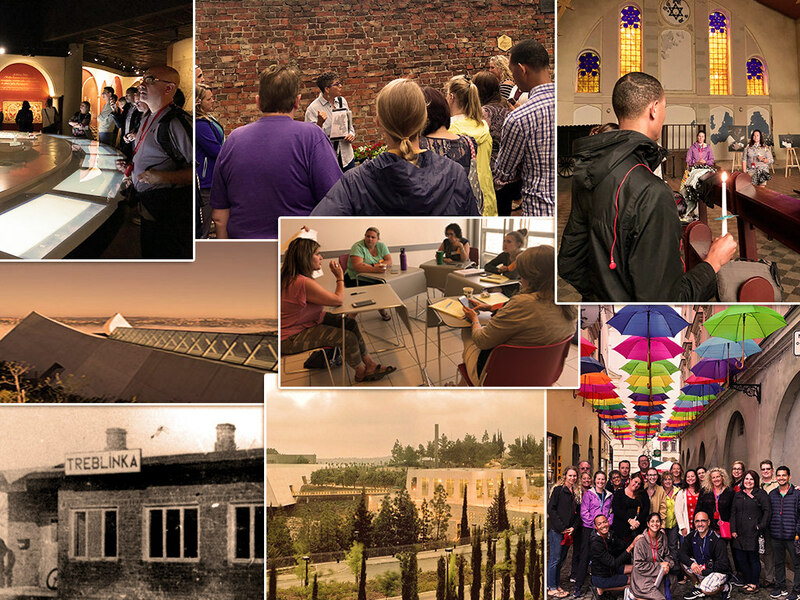 Through our signature professional development program, participants explore and gain access to a range of classroom content and consider instructional enhancements to support students’ study and reflection of the history of the Holocaust and its ongoing meaning in the world today. Educators enhance their own knowledge about the Holocaust, including the history of antisemitism, and build confidence and capacity to teach this complex subject. Keynote speaker, Sherry Sandler (3rd generation), at 9am. As the world struggles with the largest refugee crisis since WWII, Echoes & Reflections content can help examine the barriers to immigration, including political and bureaucratic obstacles and, in some cases, the unwillingness to accept Jewish refugees during the Holocaust. This timely offering supports educators to help students make meaningful connections to similar issues affecting people and nations today. For more information and to register, please contact Claire E. Gwaltney at claire.gwaltney@ky.gov. How do we create impactful and thoughtful learning of the Holocaust with students? Through our signature professional development program, participants explore and gain access to a range of classroom content and consider instructional enhancements to support students’ study and reflection of the history of the Holocaust and its ongoing meaning in the world today. Educators enhance their own knowledge about the Holocaust, including the history of antisemitism, and build confidence and capacity to teach this complex subject. For more information and to register, please use AAESA GoSignMeUp or contact Stephanie Bush at sbush@alleganaesa.org. How do we create impactful and thoughtful learning of the Holocaust with students? 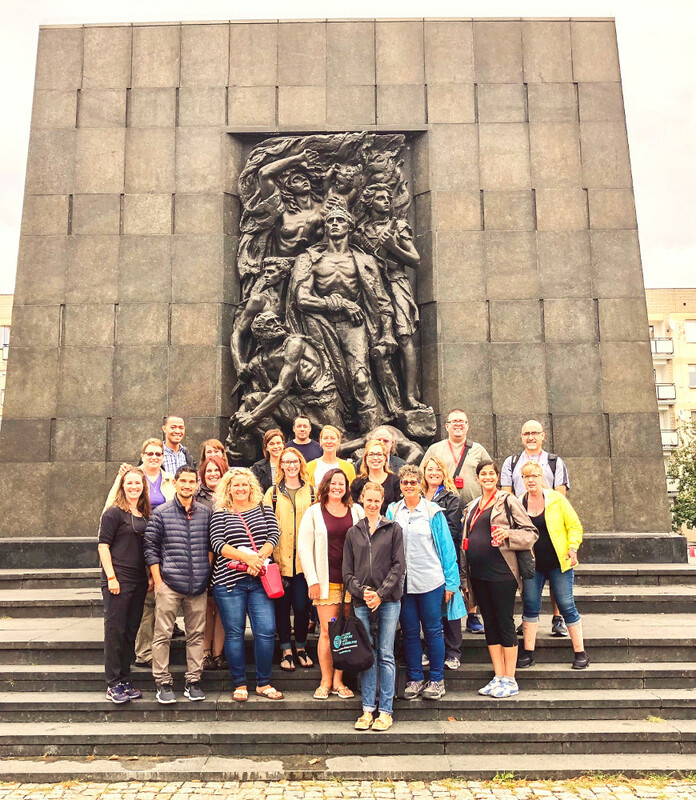 Through our signature professional development program, participants explore and gain access to a range of classroom content and consider instructional enhancements to support students' study and reflection of the history of the Holocaust and its ongoing meaning in the world today. Educators enhance their own knowledge about the Holocaust, including the history of antisemitism, and build confidence and capacity to teach this complex subject. This program will also introduce educators to classroom material to address contemporary manifestations of antisemitism and its relationship to traditional forms of antisemitism present before and during the Holocaust. There is no cost for this program. Breakfast and lunch will be provided, as will sub pay. This is a professional development program hosted by Ann Arbor Public Schools District. This program is currently closed. Contact us to learn how you can bring Echoes & Reflections professional development to your school or district.